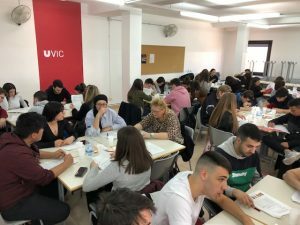 this Monday 8 April, students from 2nd 1st and 2nd International Trade Sales Management and Commercial Spaces have conducted the workshop “Live Marketing” organized by the University of Vic. They have done a test product and a packaging designed by the same, Once the facilities have known·University Facilities. 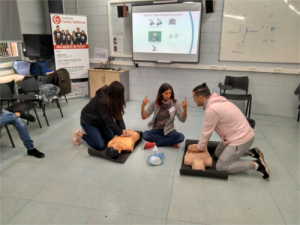 second session First Aid Course. This time with students from 1st ACO. 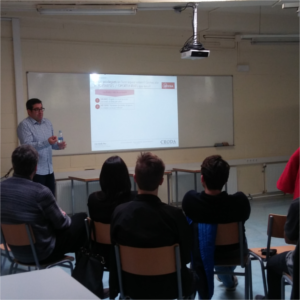 El dijous 22 Marc, Carles Sentinel, any logistics company Croda IBÉRICA; SADDLE, gave a talk to students in advanced vocational training and Dual Module 2 on CIT “Logistics of a large company and future prospects”. He explained his personal experience as head of department and, above all, skills and attitudes which can offer students as positive points and added value to companies which want to insert. It was very constructive and motivating. 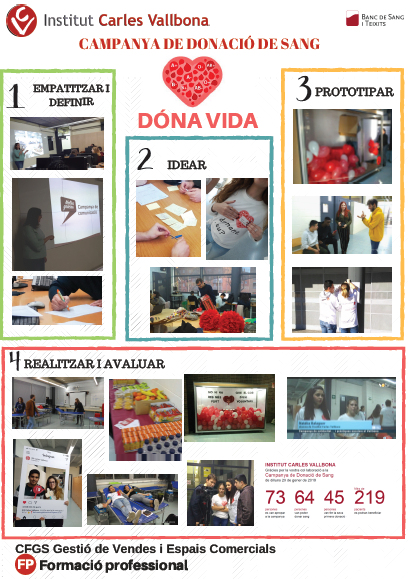 The students of the Vocational Higher Sales Management and Commercial Spaces have prepared a poster Blood Donation Campaign 2018 following the methodology Design Thinking we see exhibited in the booth of the fair Guia't. March at the end of May will be a month. On Wednesday 16 November we visited Mr.. Xavier Simó, director of l'company INLEA. 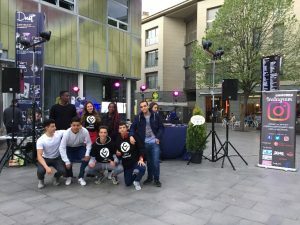 Our school, through the Program and Business School Foundation businessmen FEMCAT, He enjoyed a talk to students in Intermediate Vocational Training Activities Commercial and Administrative. The Mister. 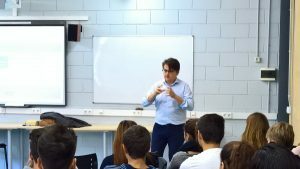 Xavier Simon introduced us to the path of your company, with its most important customers, and explained his career, and future projects. 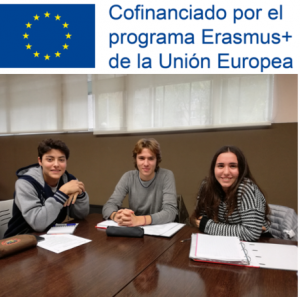 Our students continue to carefully talk that made Mr.. Xavier Simó, and participated actively. You can see more photos of the event here.